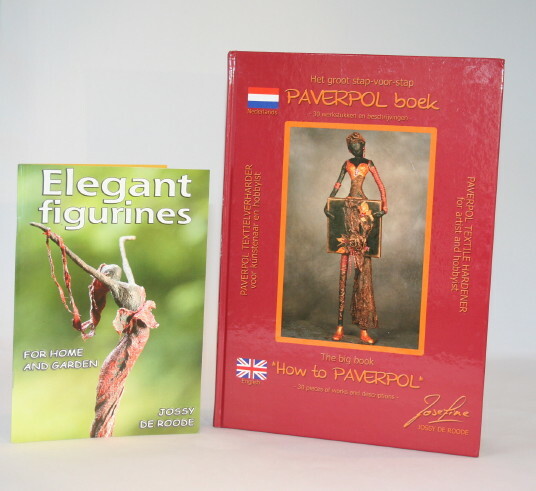 The big “HOW TO PAVERPOL” hardcover book. Ninety-two pages, over a hundred photo’s, thrity ceations very well described. 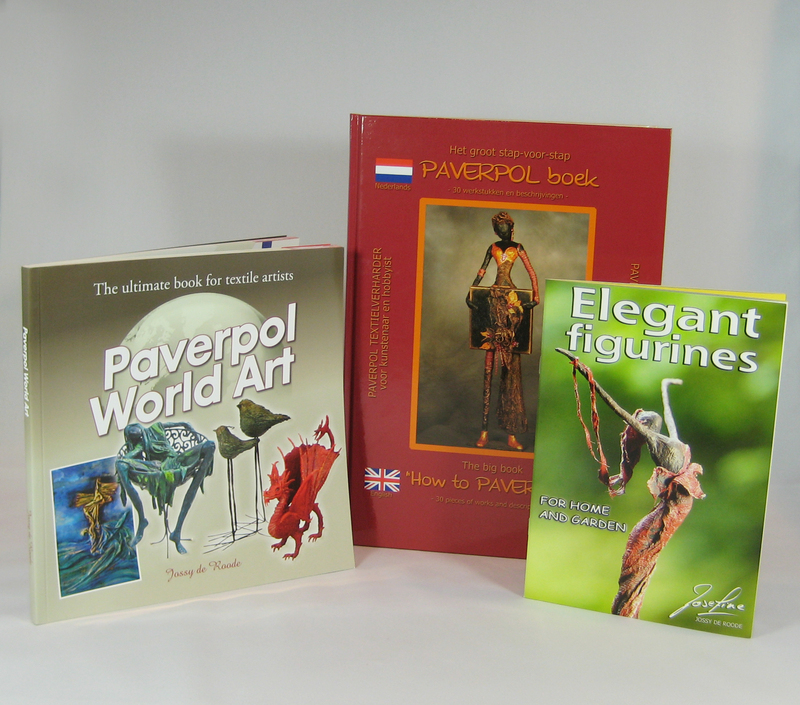 Instructions on how to use Paverpol, Wrappers, Paverplast, Art Stone, how to built a wire frame, how to to dry-brush paint and so on and so on. The most complete reference book in the textile hardener market. Did you work with Paverpol before? New creative challenges in this book for you. Various products are used to create beautiful objects. Once you’ve got it, you can’t wait to start. Click to here contact the nearest distributor to order your book.